The apartment is located on the second floor. It has a bathroom, kitchen and dining room (standard), a bedroom that is connected to a terrace with sea views (table and chairs), TV-SAT, Wi-Fi, air conditioning and parking. The room is located on high ground. It is intended for two people. 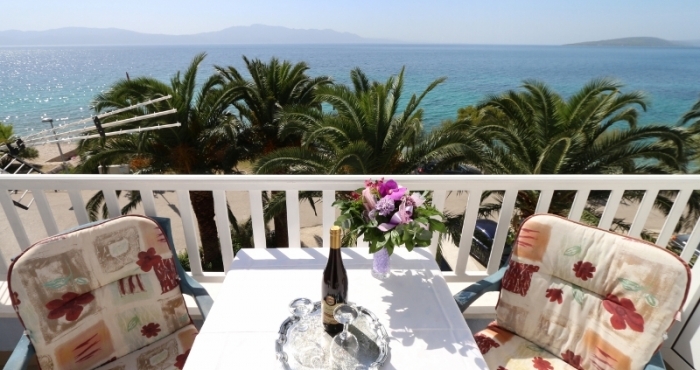 It has a double bed, bathroom, balcony with sea views (table and chairs), TV-SAT, Wi-Fi and parking. There is a shared kitchen for 6 persons, each room has a refrigerator, is standard equipment.